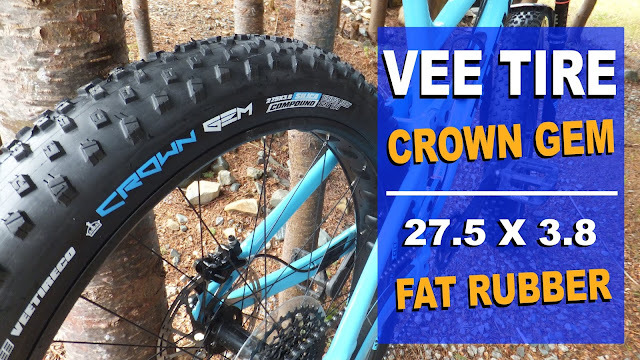 Earlier this season Fatbike Republic reviewed the Rollpacker 25 in the rear configuration. 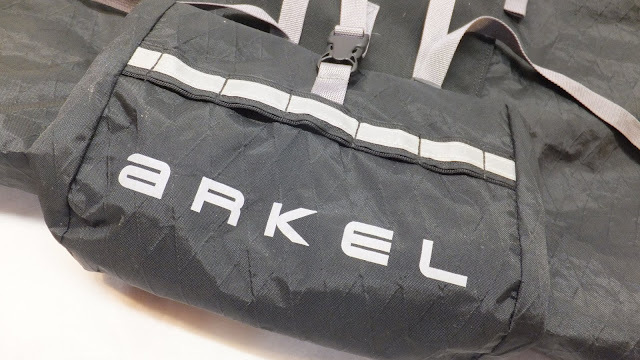 Arkel designed a novel and non-traditional way of carrying gear off the seat that resulted in no wag, very little bounce and maximization of storage. Now it’s time to take a closer look at the alter ego of the Rollpacker 25 Rear . 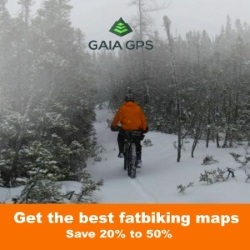 . . the Rollpacker 25 Front. 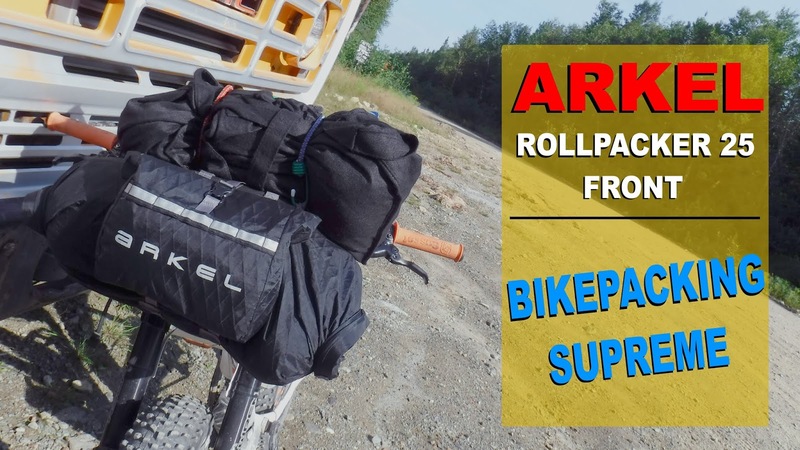 When designing the Rollpacker, the folks at Arkel crafted the bag to do double duty as a rear mounted seat bag and front mounted bar bag. The Rollpacker Rear and the Rollpacker Front is the exact same bag with the only difference being the mounting hangers. 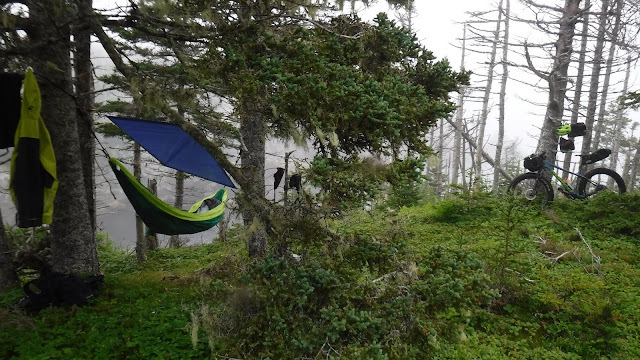 So you can actually have one Rollpacker with two hangers and mount the same bag in either location. Pretty clever. 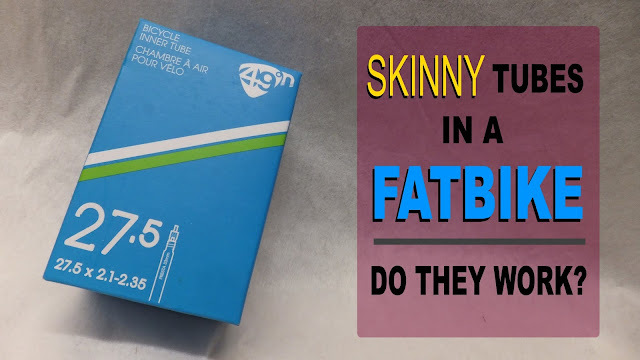 In addition to the 25L version there is a smaller 15L for bikes with smaller frames, or if you are planning on taking smaller loads. 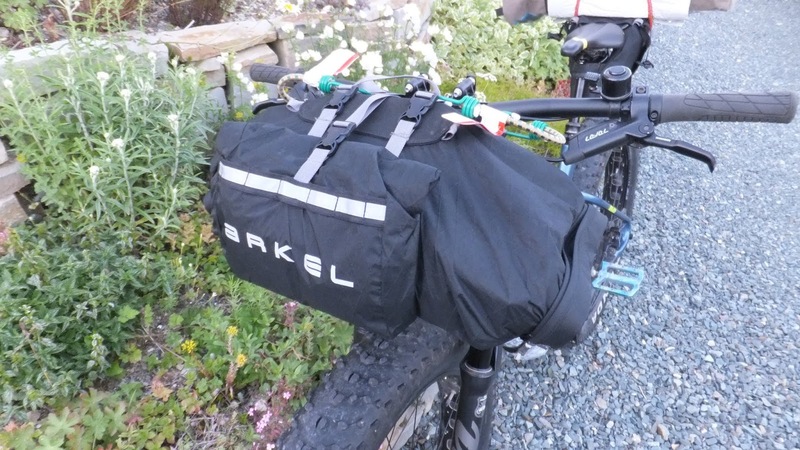 For additional details on the design and construction of the Rollpacker 25 check out the Rollpacker 25 Rear review. 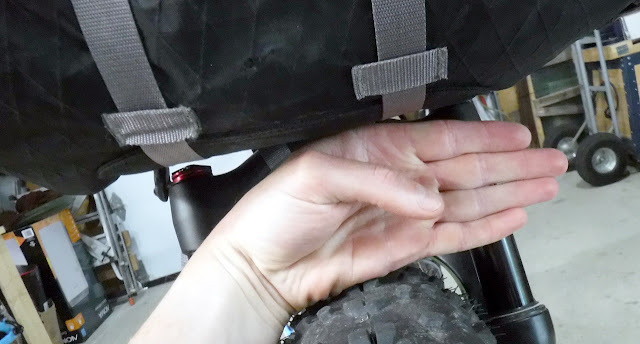 The biggest challenging when designing a bag for the front of a fatbike is making a secure mount that will not or shift with the constant pounding of riding off road. Mounting a bag to the rear of a bike is easier as there is primarily one axis of movement (up and down), but on the front we have the addition of side to side movement caused by bar rotation. 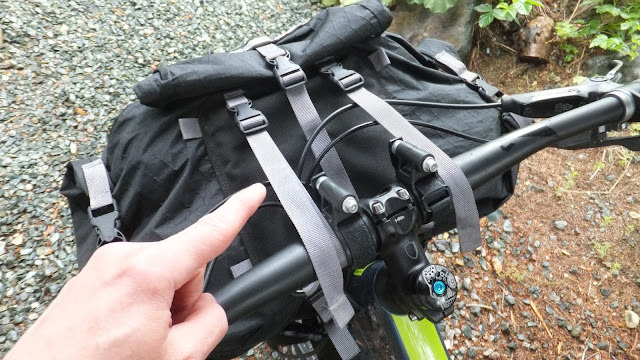 The front hanger will work for both the 25L and 15L bags and for both straight and drop-bars. To set it up for the straight bar configuration the rubber brackets need to be mounted on the top/rear of the hanger and for the drop-bar the hanger is mounted to the bottom/front. 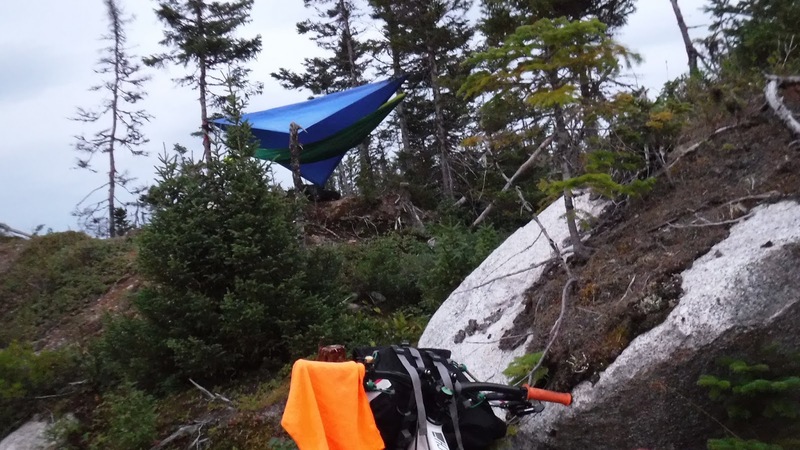 The hanger comes set up for the drop-bar configuration with the rubber brackets on the bottom/front of the hanger. 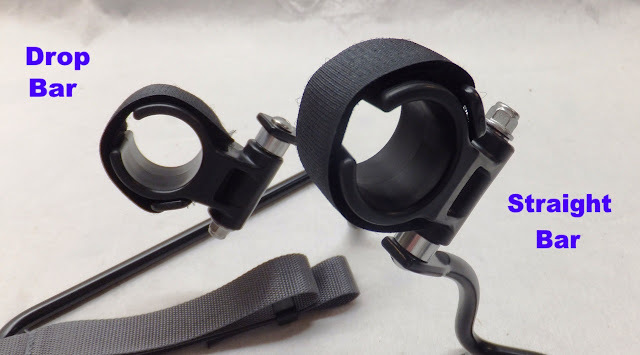 Velcro straps secure the brackets to the bars with auxiliary fork straps adding extra stability and security. 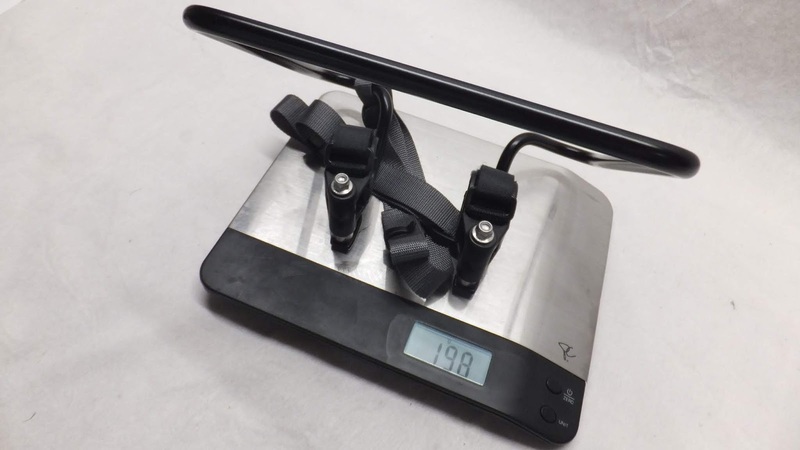 Dropping the hanger on the scale it weighs in at a slight 198g. 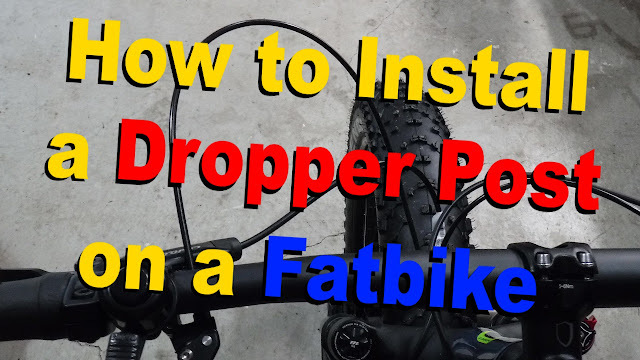 Having a straight bar on the fattie I swapped the rubber brackets to the top/rear position. 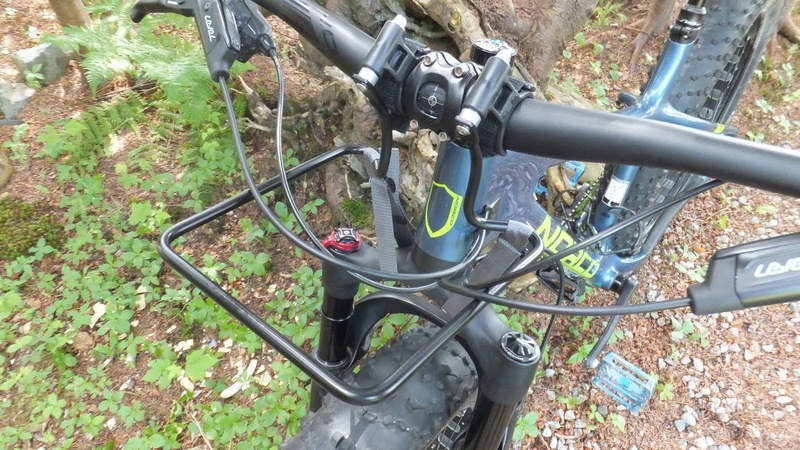 The bracket easily slipped on over the bars with the brake and shifter cables resting naturally away from the hanger. 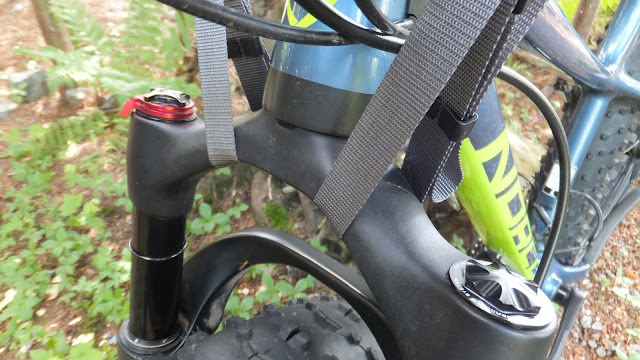 The Velcro straps on the brackets were super easy to secure and the fork straps had plenty of length to wrap down and around the crown of the suspension fork. I then stuffed the Rollpacker 25 to the point where I could get one full fold on the ends and slid the bag on the hanger. 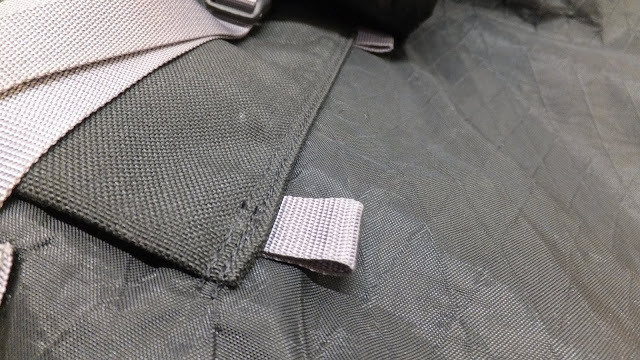 There are two hanger pockets on the Rollpacker – top and bottom. 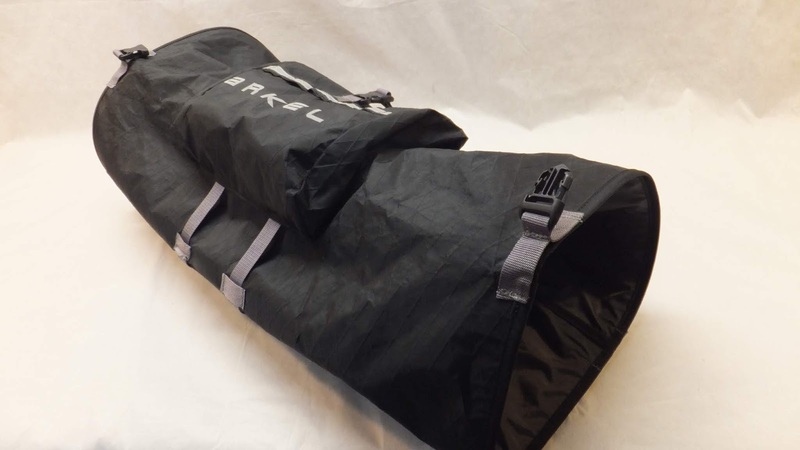 In the rear configuration both the top and bottom pockets can be used to mount the bag, but in the front the bag hangs from the top pocket only. With a little wiggling and adjusting of the cables, the bag slid on over the hanger. Taking the compression straps (on the rear of the bag) I wrapped them around and over the bar and snapped them back into the bag. These straps provide the primary vertical support for the bag while the hanger mostly addresses the lateral movement. Standing back to admire the bag I noticed that there was hardly any room between the bag and the tire. I rechecked everything . . . it was all good . 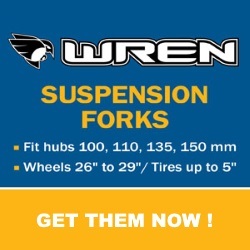 . . and still no room for fork compression. I found this really odd. I removed the Rollpacker, swapped the rubber brackets to the drop-bar configuration (bottom/front of the hanger) and reinstalled the hanger. Sliding on the Rollpacker I checked the clearance and there was now plenty of air between the bottom of the bag and the top of the tire - no worries about the bag scraping the front tire on fork compression. 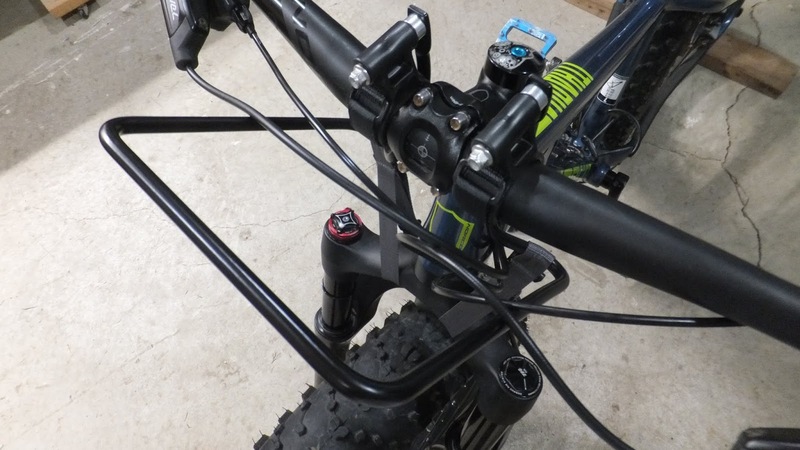 For some reason the drop-bar configuration works much better than the straight bar configuration when mounting to a fatbike. With the Rollpacker 25 mounted on the front and a Seatpacker 9 in the rear I headed off into the wilderness on a couple of Under 24 Hour Overnighters (U24O). With the Seatpacker in the rear I carried most of my smaller and compactable items hanging off the seat. On the front I focused on stuffing the Rollpacker with larger bulkier items like sleeping bag, hammock, clothes, pad and smaller items that would squeeze into the empty spaces. I did notice that when packing the RollPacker for the front I needed to be conscious of packing more horizontally rather than vertically. 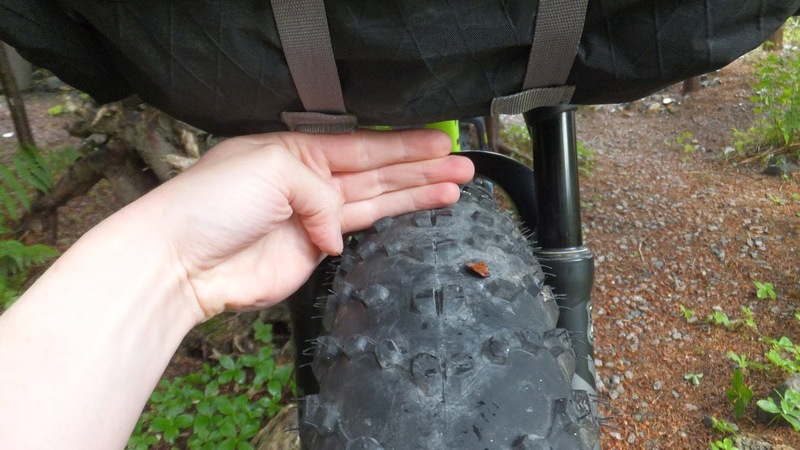 If heavy on the vertical packing the bag would be thicker and subsequently closer to the tire. 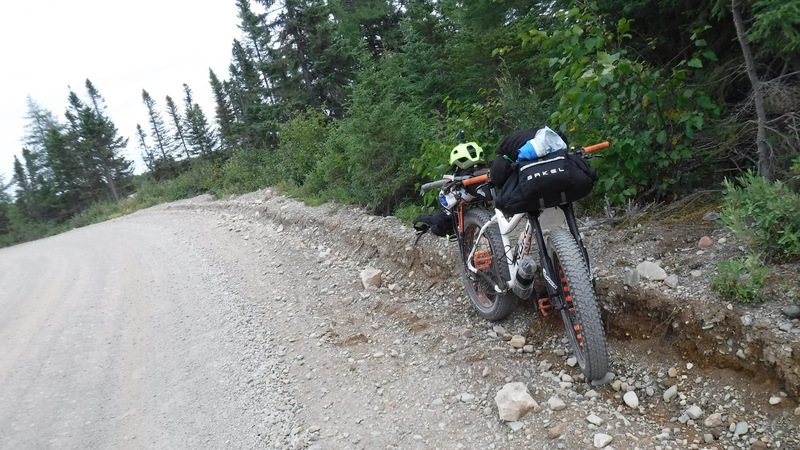 Mounted to the front, the auxiliary compartment came in very useful carrying all manner of smaller stuff that I could possibly need at a moments notice – snacks, bug repellent, spare batteries, saw, compass, hat, water, knife, etc. 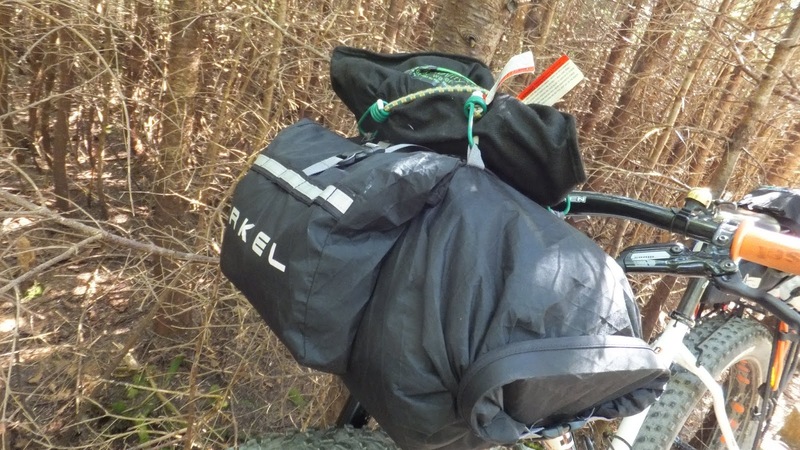 And the loops were very useful when strapping additional gear on the outside of the bag. 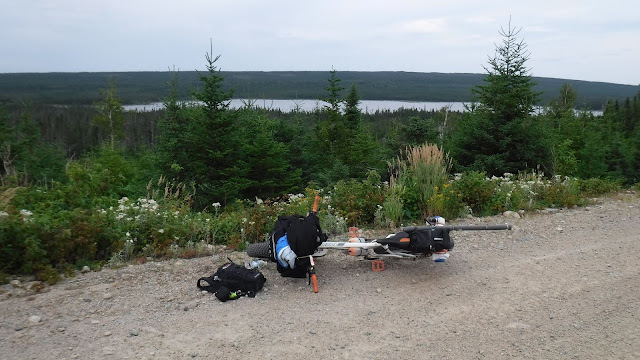 One can never have too many bungee cords when bikepacking. The two U24Os that I used this bag configuration could not be any more different. One trip was a shorter 15km round trip in the rain/drizzle through mud/bog, dirt and water. While the other was much drier - weather and terrain - and more of 120km round trip gravel grind that I was expecting to be much shorter. Hanger did not move. 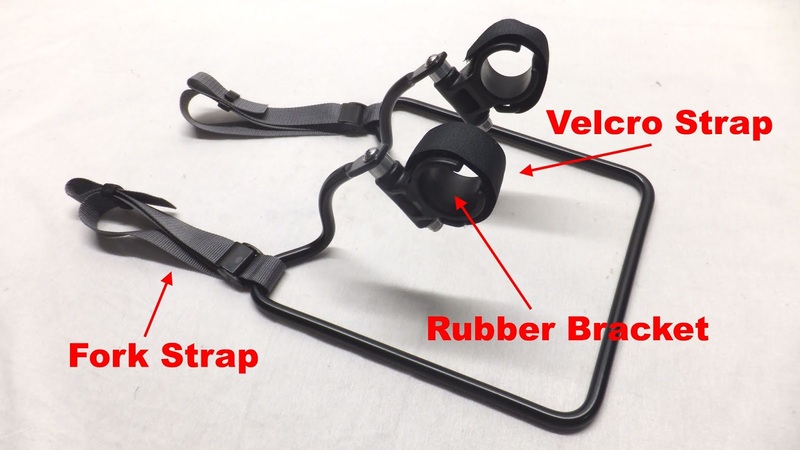 The rubber brackets and velcro straps practically glued the hanger to the bars. 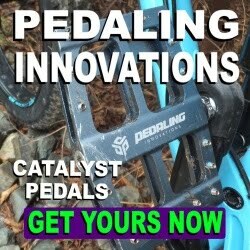 The fork straps kept the vertical movement in check. 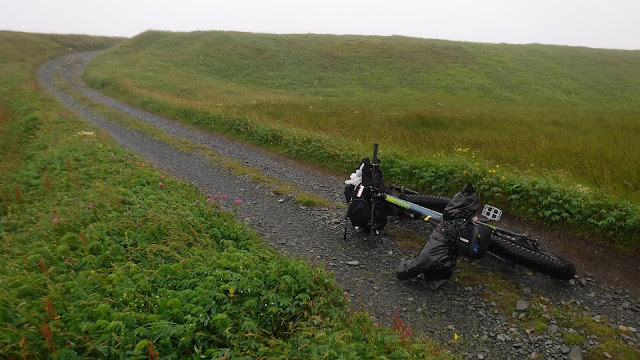 I did initially question the cam buckles on the fork straps, but they held up quite well only needing a slight adjustment after a particularly long and bouncy stretch. Cables were not pinched. The design of the hanger and bag placement snugged the cables but did not impede movement. Bag did not shift. It did bounce and shimmy a little based on the terrain, but it settled back to its intended position. Bag was very easy to install and remove. I did find it easier to pack the bag before it was mounted. When mounted, smaller items could be stuffed into empty spaces. Lots of room in this bag with super easy access from both sides. 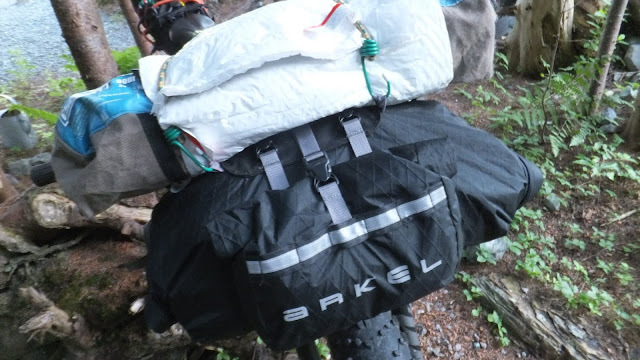 Gear was kept dry and practically dust free with one turn of the bag ends. It also made a great platform to strap other gear on the outside of the bag. Auxiliary compartment never seemed to fill and carried lots of stuff. Easy access, secure closure and waterproof. 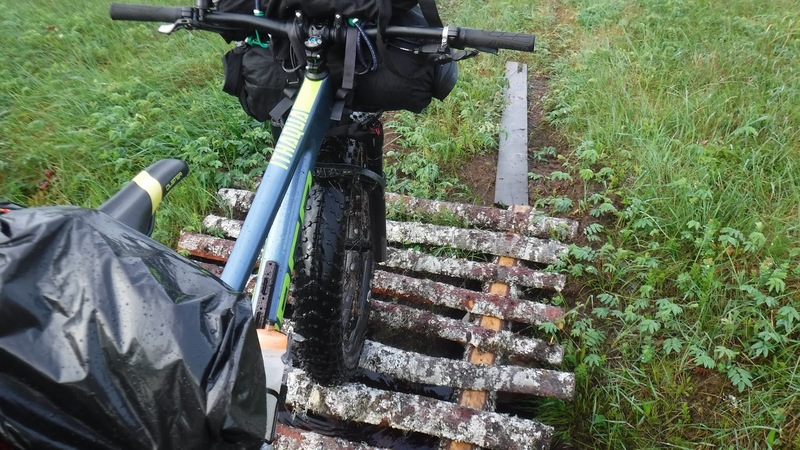 The Rollpacker 25 Front will allow you to carry a mess of bikepacking gear on the bars of your fattie. However, unlike other bar bags without hangers, I found that this bag will stay put and can be mounted and removed easily and quickly. And if you combine it with a Rollpacker 25 Rear you could possibly have one of the most convenient bikepacking setups on the trail.